Parks Victoria volunteers help protect the environment and enhance visitors’ experience. 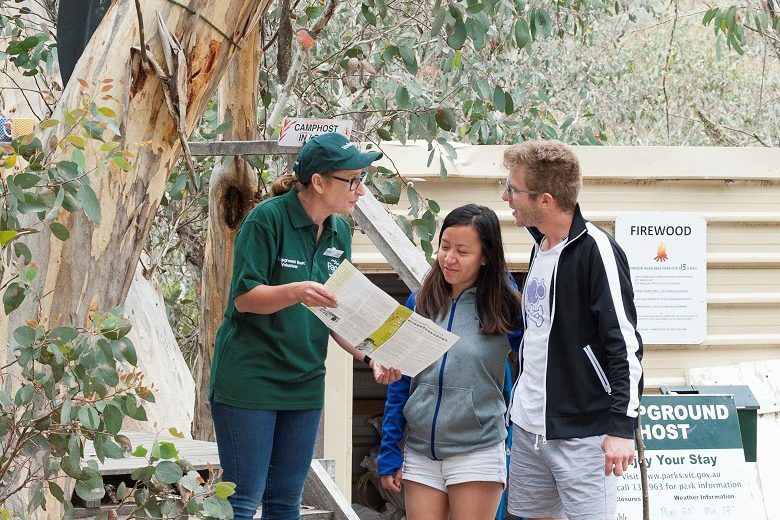 A tailor-made management system and a suite of programs are helping Parks Victoria manage its 20,000 volunteers. Managing nearly one fifth of Victoria’s land and 70 per cent of its coast, Parks Victoria needs a lot of manpower to maintain the state’s parks and reserves. Helping the agency’s 400 park rangers is an army of volunteers who work to protect the environment and enhance visitors’ experience. More than 20,000 volunteers participated in 37,000 volunteer activities with Parks Victoria last year, providing 280,000 volunteer hours equating to $10 million worth of in-kind contribution. 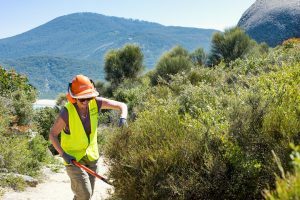 But while volunteers contribute to Parks Victoria’s operations and research across the state, managing such an army of helpers has required the authority to rethink its approach to engaging and overseeing volunteers. 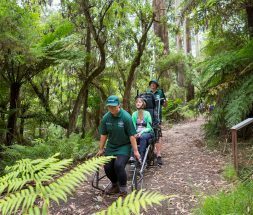 Volunteers contribute to Parks Victoria’s operations across the state. Last year the authority won the innovation category at Volunteering Victoria’s state awards for its interactive online volunteer management system ParkConnect. 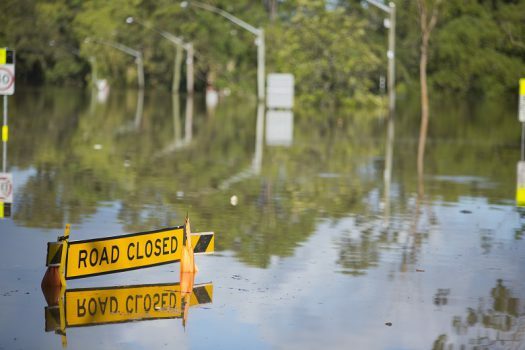 The tailor-made system enables both current and potential volunteers to identify and connect with an area of interest, cause or location of choice. It also helps staff manage volunteers by providing up-to-date data. “One of the reasons we brought in ParkConnect was to record all the people who were out there doing work with us, and in turn better value their contribution by enabling them to tell us what they’re doing,” says Leesa Riley, the authority’s state volunteer coordinator. Interested individuals can volunteer with the authority through two ways: via one of the five volunteer programs it has developed and runs, or through one of the 260 organisations it partners with, including various “friends of” groups, recreational clubs and community organisations. sea searchers, who collect important information on the marine environment’s health. 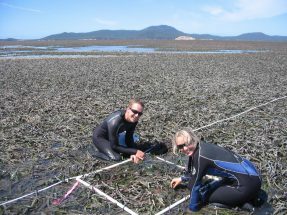 In the Sea Search program volunteers monitor marine environment’s health. Those partner organisations include “friends of” groups, often interested in a local park or species, and recreational user groups including mountain bikers and bush walkers. Before developing and implementing ParkConnect, the authority had no central automated system to record volunteers and partner volunteer organisations, says Ms Riley. “We also didn’t have a system to promote our opportunities, so we were trying to pair those two needs, along with a way of managing our reporting requirements,” she says. The system has both an internal dashboard for staff as well as a simplified external page for volunteers and groups to lodge activities and learn about opportunities. The new system has also enabled Parks Victoria to broaden its reach among potential volunteers, she says. “Our demographic was traditionally older volunteers which we know is really important, but we’ve been able to diversify with many other demographics now coming in to support us. That awareness component has been very important,” she says. Volunteers in the Sherpa program help visitors with mobility issues. Developing new programs such as the Sherpa program, which assists with enabling people with mobility issues to access the parks, is another way the authority has extended its volunteer offering to a different pool of candidates, Ms Riley says. In recognition of its suite of programs, the authority last year won the ‘outstanding contribution by volunteers’ category at the Victorian Tourism Awards. As a volunteer, my experience with ParkConnect isn’t a great one. I feel that it isn’t a platform that is able to be customised or be adapted to specific sites and therefore it gets left behind and from my observations unused, which is a great shame considering it’s potential use.